Welcome to Leiper’s Fork in Nashville, Tennessee! This small town serves as a beautiful rural area conveniently close to the city, however. Sitting just south of downtown Nashville, the area is right in Williamson County, one of the wealthiest counties in the country! 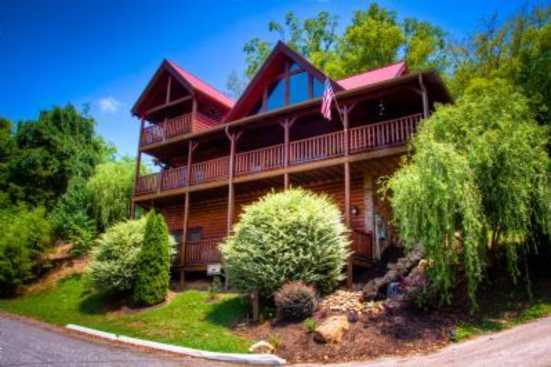 When you stay here with us, you can enjoy yourself in a gorgeous vacation rental property in the heart of the foothills of Tennessee, but still, have easy access to get to the city! Leiper’s Fork offers you this relaxed setting with some good eats as well! One of our favorite spots to eat here is Puckett’s of Leiper’s Fork, an American fare spot with a friendly scene and some amazing food! You don’t want to miss a meal here! Another good spot is the Country Boy Restaurant, known for their fast service and excellent desserts! In terms of what to do, like said, the cities of Nashville and Franklin are both conveniently close! Offering you attractions like sporting events, concerts, nightlife and so much more! A few of our favorite bars to go to here include Charlie’s Gospel Bar and Grill which is right in the heart of Leiper’s Fork and Bunganut Pig Pub and Eatery! These spots offer you a fun scene with drinks and fast service, don’t miss out! Smoky Mountains by Owners is proud to have the chance to make your vacation this year the best one yet, book online today with us and begin planning the trip of a lifetime! We look forward to having you!